U19 Ukrainian League. Matchday 26. May 1. Schaslyve. Knyazha Arena. 16 oC. 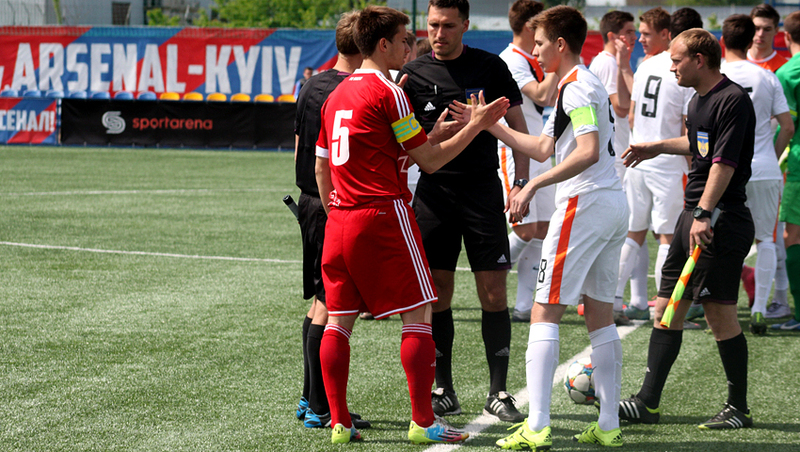 One of the U19 League leaders Shakhtar received their Volyn counterparts (10th place, 31 points). In early March the teams have met in Lutsk, with Shakhtar claiming a convincing 4-1 win back then. Shakhtar started the match with attacking, with Savin and Senytskyi taking dangerous shots, but they did not manage to score an early goal. A set piece by Oleksiy Zinkevych could have been successfully converted, but the Lutsk goalkeeper turned the ball for a corner. The visitors took only one shot on goal in the first half, posing no threat for Trescheyko. The team of Serhiy Kovalyov managed to open the scoring just efore the break. Arthur Avagimyan burst into the penalty area, where he was brought down by the opposing keeper. The spot kick was confidently converted by Oleksandr Pikhalyonok – 1-0. Enjoying the advantage, the Pitmen did not slow down, doubling the lead on 50 minutes. The teammates delivered the ball into the penalty area to Olekxiy Zinkevych, who hit the roof of the net – 2-0. It made Volyn expose themselves and pay less attention to defence, which Donetsk did not neglect to take advantage of. First, the away team’s defenders stopped a Pikhalyonok effort, with a Hlahola attempt going just over the crossbar. However, in the 74th minute, the score got a lopsided look. Pikhalyonok lobbed it on the right-hand side, with Tkachuk shot being parried away by the goalkeeper, but Yevhen Chahovets was the quickest to finish it off – 3-0. In the remaining time, the Pitmen could score more than once, but a long-ranger by Oleksandr Pikhalyonok long-ranger being denied by the goalkeeper, and Yevhen Prodanov’s shot went just wide after a spectacular barrage. 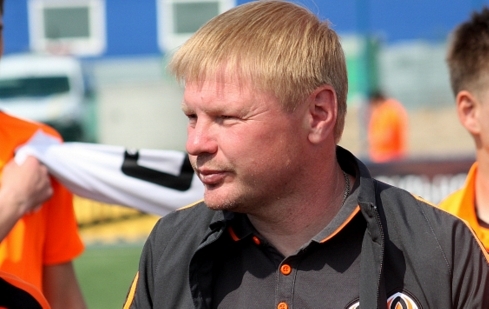 As a result – 3-0, with Shakhtar demolishing Volyn Lutsk and continuing the title race. Serhiy Kovalyov's team will play their next game away on May 7 against Kharkiv-based Metalist. - We’ve claimed the three important points. The players are well aware that now every game is just like the last one. So we must give our one hundred percent. Before the first half, we told the boys to operate more aggressively while attacking, they quickly handled the ball, tackling it after losing the ball. Sometimes it worked, but at times they were too much in a hurry, making errors while playing the passing game. We scored one towards the end of the second half, although we still had scoring chances. After the break, we made two substitutions due to tackling issues in midfield. We asked the boys to act just as aggressively in front, rip open the flanks, connect to the attacks launched by full-backs, ultimately creating lots of scoring chances, we could still have scored more. Volyn defended well, occasionally making transitions from defence to attack. In the first half they caused us trouble. - Today, Volyn exerted more pressure in the first half, and after the break, they got flat and exposed themselves even more. Early in the second half, we netted one moving to the victory more confidently. We managed to launch counteraattacks, so we coiuld have claimed even bigger score, had we capitalised on our chances. Of course, I am very happy to have scored my first goal! I covered a long way before scoring, because I missed a lot due to injury, missing out on the team list for a long while in the second half of the league season. We must continue to work hard and score more. We approach our games being focused and having confidence in each other. The whole team plays both offensively and defensively. We try to keep clean sheets and score as many goals as possible. At the moment, a few sides take part in the title race. And our objective is winning the remaining games. Maybe we'll get lucky with the opponents making a mistake. We will believe in it and keep on working!